St. Patrick’s Day is famous almost worldwide for being one of the biggest drinking days of the year. But how to recover the morning after? Here, Culture Trip breaks down Ireland’s favourite hangover cures. Many Irish people believe a strong, sweet cup of tea to be the cure for all ills, and its mythical healing properties are certainly thought to extend to the hangover. Tea’s positive effects on those suffering the consequences of a night in the pub aren’t purely psychological. 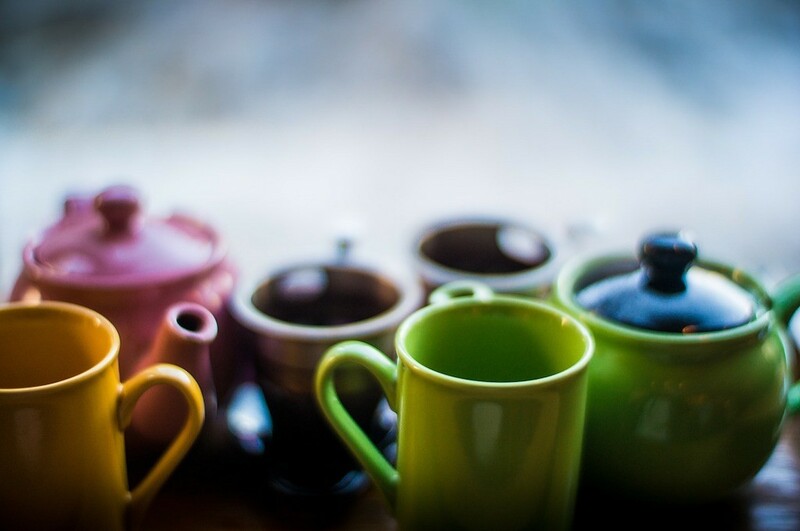 Although tea – like coffee – can be a diuretic in large amounts, studies have shown that a few cups of tea can have the same hydrating effect as water. No doubt the number one Irish hangover cure is a full Irish cooked breakfast, usually consisting of bacon, eggs, sausages, black pudding, beans and a fried tomato, with toast on the side. According to a 2012 survey by the directory enquiry service 11850, 63% of Irish people see the Irish breakfast as the ultimate remedy for a night of hard drinking. The survey was conducted in honour of what they called ‘Ireland’s National Hangover Day’ – March 18th. For those unfortunate souls who have to work the day after Paddy’s Day, or don’t have time to sit down to a cooked Irish breakfast for other reasons, a breakfast roll can save the day. Available from deli counters at petrol stations across the country, the breakfast roll features items from a full Irish breakfast stuffed inside a bread roll. The breakfast roll is such a common hangover cure in Ireland that it was even the focus of a hit song, released by comedian Pat Shortt in 2006. Another deli counter staple, the chicken fillet roll of breaded chicken breast inside a bread roll is an Irish institution. These stodgy delights are so popular that they’ve now been exported overseas – they arrived in Vancouver last year, and The Daily Edge recently reported that an Irish chipper in Melbourne had begun serving them to delighted Irish expats in the city. Following Pat Shortt’s lead, Irish comedy group Fupin Eejits released a song paying homage to the jambon earlier this year. A savoury pastry made with cheese and ham, jambons are one of Ireland’s most relied upon hangover foods. Delis in supermarkets, petrol stations and some cafés carry jambons. 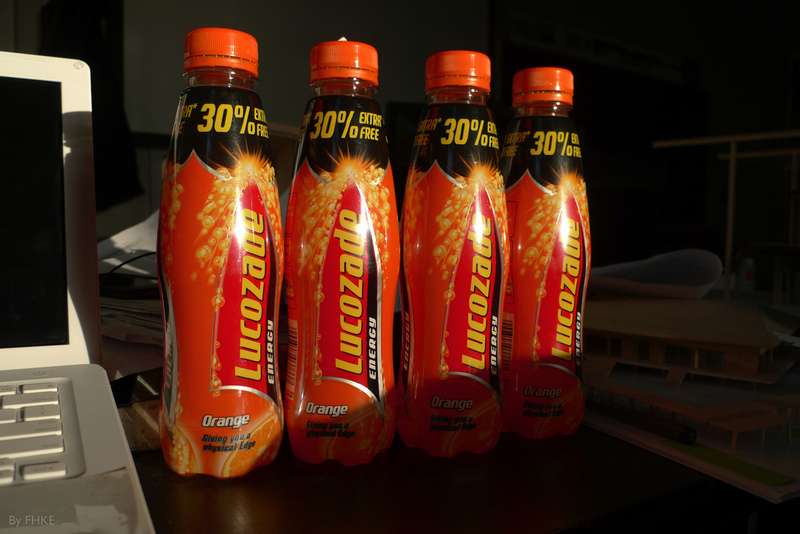 The 90-year-old British energy drink Lucozade is sometimes drunk to counter colds and the flu, but it’s also a favourite of those suffering the self-inflicted illness of a hangover. Thanks to its high sugar content, Lucozade provides a quick vitality boost when crawling back into bed isn’t an option. In 2016, one Dublin pub even created a Lucozade daiquiri, calling it ‘the ultimate hangover cure’. A Chinese takeaway is another trusted Irish hangover cure, called upon after the worst of nausea has subsided and when eating a full meal seems doable. 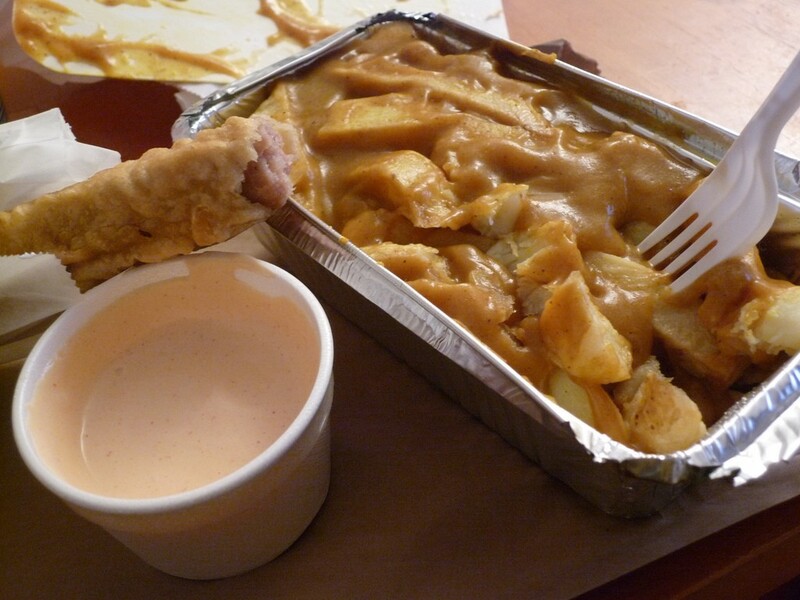 The carb-rich 3-in-1, consisting of rice, chips and curry sauce, is seen as being particularly medicinal. In 2015, Irish and Welsh people were amused when Buzzfeed released an article celebrating the 3-in-1 as a new development, even though both countries had been extolling its virtues for years. Walking past Chinese takeaways in Dublin, tourists may wonder as to what exactly goes into the ‘spice bag’ they frequently advertise. Named Ireland’s favourite takeaway dish in 2015, a spice bag is generally made up of chicken, chips, red and green peppers, onions, and chilli peppers. It’s hard to overstate how loved spice bags are in Ireland – just this month, spice bag seasoning mix went on sale in Dublin and Cork, allowing devotees to make them at home. Originally an English invention, the battered sausage now features on chipper menus across Ireland. One Irish locale even has its own unique version of the pork sausage in a floury batter – the ‘Boardsmill’ sausage, made with onion, is named after a village in County Meath. Last but not least, plenty of Irish drinkers alleviate their pain with some ‘hair of the dog’ – aka more alcohol. The name for this ‘cure’ comes from the belief that rabies could be cured by applying hairs from the dog that bit you to the cut. Although there’s no evidence to suggest drinking more does anything but delay the effects of a hangover, that doesn’t stop people from trying.